Understand that your days of being spoon fed are behind you. In college, especially when pursuing a professional degree like engineering, it all boils down how much knowledge you can soak up in every class. So, the most important step to success is to be present in class, physically and mentally. Keep your course books handy, and highlight important points or pages with a pen or page marker. At the end of the day, make notes for each class you attended using a mix of materials from textbooks, teachers’ notes, and reference books. These notes will be invaluable when you start preparing for your exams. Confining your knowledge of any subject to just what’s being taught in class won’t take you far in this course. 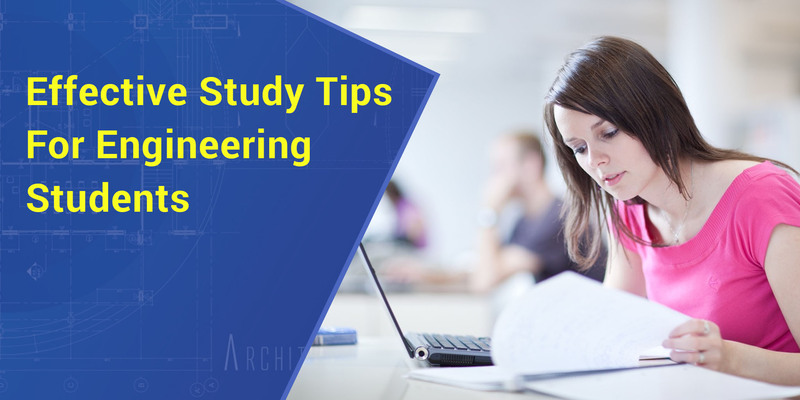 Self study is the key to success, and since you are dealing with technical subjects, you may find yourself getting stuck more often than not. It is, therefore, essential to build an association with your professors, so you can turn to them for help in situations like these. You teachers can offer invaluable insights on projects, concepts, and even suggest some helpful eBooks you can turn to for enhancing your understanding of different subjects. A great deal of your success in engineering rests on your clarity of concepts, and nothing helps in furthering that cause than trying to solve problems till you get it right. Yes, not making any headway can be frustrating in the beginning but you’ll slowly begin getting immersed in the process. This will not only enhance your problem solving skills but also provide you with a clearer understanding of your course material. Even if you do need help solving certain problems, don’t just accept a solution given by your teacher or mentor on face value. Discuss and compare it with your problem-solving methods to know what you could have done differently. Study groups are a great way to make the self study process reach fruition. Once you have studied a topic, try teaching it to a peer who may be struggling with it. Your ability to explain something to another person is a surefire sign of your understanding of it. This way you’ll help a study partner get past a hurdle and gain confidence in your own understanding of a subject. It’s a win-win. When the tables turn, and you are unable to make headway on a particular topic, your peers will return the favour. Bear in mind that engineering is a difficult course and even the brightest of students can find themselves struggling to keep pace. When seemingly impossible to solve problems, unending assignments, gut-wrenching schedules and tough exams begin to take a toll on you, it is crucial to hang in there and keep pushing forward to the best of your ability. Don’t let small failures deter you. Recognize the challenge and use your skill sets to power through. For instant access to invaluable tips, notes, and sample papers, download the KopyKitab app.